Like any other long-running animated series, South Park is no stranger to video game tie-ins. The latest, South Park: The Fractured But Whole, is set for release very soon. This cheekily-named game continues the style and structure established in the acclaimed Stick of Truth, with a few new tweaks. So far, The Fractured But Whole looks sure to be every bit as successful as its predecessor. Still, it hasn’t always been such plain sailing for South Park video games – fans have had to endure some real disappointment and averageness on the journey to The Fractured But Whole. Which are the best and worst South Park games made so far? Obviously, The Stick of Truth is the finest South Park game yet. Having Trey Parker and Matt Stone onboard as the writers gives it a major advantage, and ensures the game retained the series’ unique brand of humour. You’re cast as the New Kid, a brand-new character thrown into the middle of a storyline involving aliens, gnomes, and apocalyptic shenanigans. Being unable to play as any of the main characters works as well as it did in the 2009 Ghostbusters game – you’re still part of the gang, but get to see the figures you know so well interacting as usual. The graphics and animations nailed the look of the show, while the RPG gameplay brought real depth. 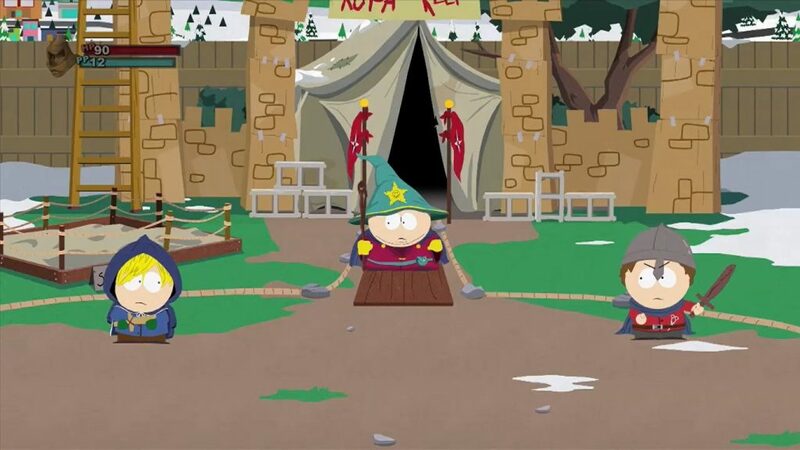 It can’t be easy to make a game based on something like South Park that satisfies fans and gamers alike – but Stick of Truth set a high bar. Tower defence games have enjoyed real popularity in recent years, due in large part to the proliferation of mobile gaming. 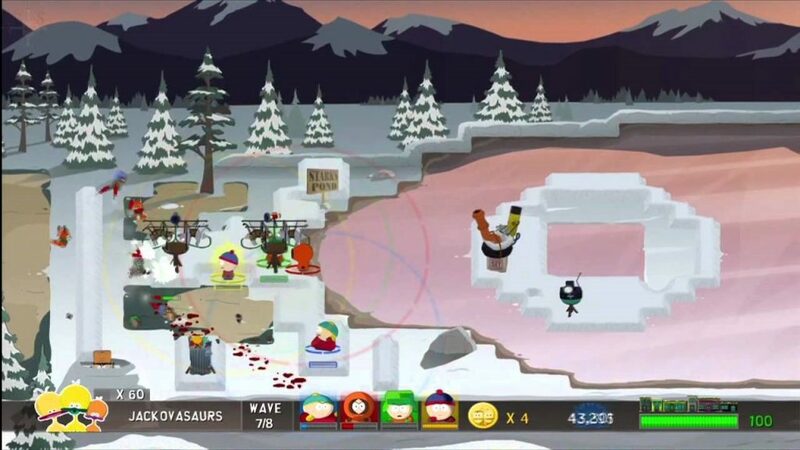 South Park got in on the act with Let’s Go Tower Defense Play on the Xbox, in which you control the four boys as they attempt to stop various areas being overrun. This is a little bit different to the standard tower defence game, though, as you get to control the characters directly rather than simply setting up defences against waves of enemies like ginger kids, cows, and gnomes. 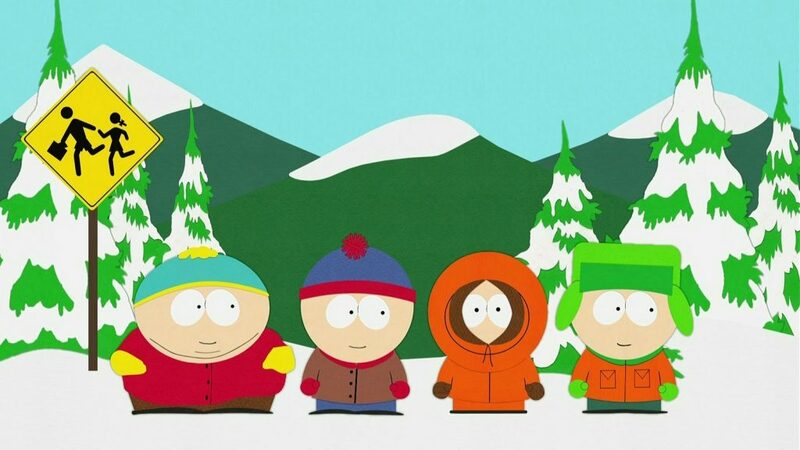 The graphics are stunning, and being able to actually hurl snowballs as Eric, Cartman, Kyle, and Kenny is fun. Having the show’s creators involved in the production of this made this a definite improvement over the likes of South Park Rally, keeping the same crude humour and characterisation. Acclaim at least tried something different with Chef’s Luv Shack. This multiplayer title revolves around completing minigames and answering trivia questions, all in the setting of a game show hosted by Chef. Chef’s Luv Shack does a decent job of capturing the show’s cheeky jokes, and the basic 2D animation works a treat. Minimgames include delivering pizzas to the townsfolk and hitting zombie pets with a shovel as they emerge from their graves (with some nice Gothic music and graphics). The attention to detail is a highlight, and it feel nicely fast-paced. Of the three Acclaim South Park games, Chef’s Luv Shack has aged most gracefully, thanks to its visual style and creative use of the licence. Having short action segments interspersed with tongue-in-cheek quiz sections perhaps suits the show’s flavour more than a first-person shooter or racing game, too. South Park fans who have yet to play it might want to give it a go. It’s no Stick of Truth, but it’s not terrible either. The first South Park video game was a first-person adventure that offered a vastly different experience depending on your console of choice. 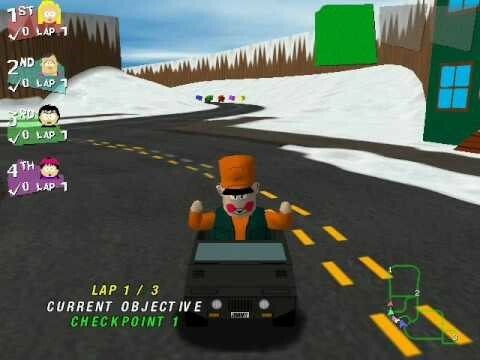 The Nintendo 64 version, developed by Iguana Entertainment, received decent reviews at the time, and in all honesty, it still holds up pretty well today. 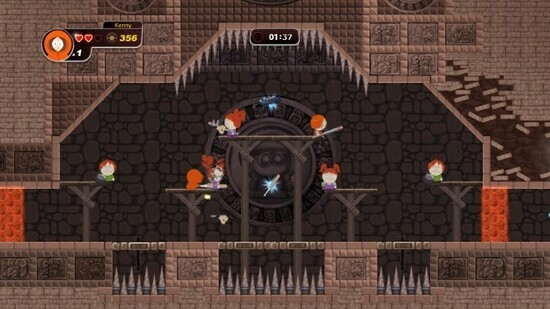 The basic visuals the series is known for work in the game’s favour, meaning sprites’ and environments’ lack of detail suits the show’s style (or, at least, as it was when the game was released). 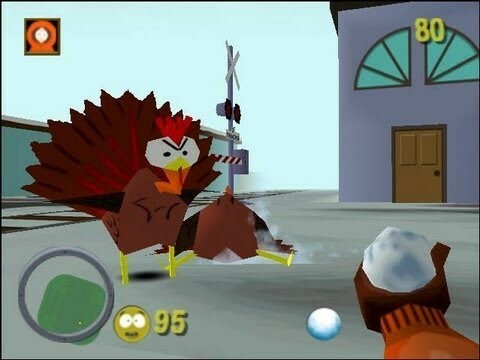 The gameplay itself revolves around exploring South Park as one of the four boys, taking down rabid turkeys, aliens, and other enemies using snowballs, dodge balls, and more weird weaponry. However, the PlayStation and PC versions were slammed at release, due to the sharp drop in quality from the N64 game. This isn’t the worst South Park game, and it captures some of the show’s touches well, but it’s ultimately repetitive and somewhat dull. There’s not a huge amount to say about South Park Pinball. If you’re familiar with other Zen Studios’ licensed pinball games, you’ll know what to expect: great tables, smooth gameplay, and lots of nice nods to the show. It makes terrific use of the South Park brand, but it obviously can’t match the depth of The Stick of Truth. 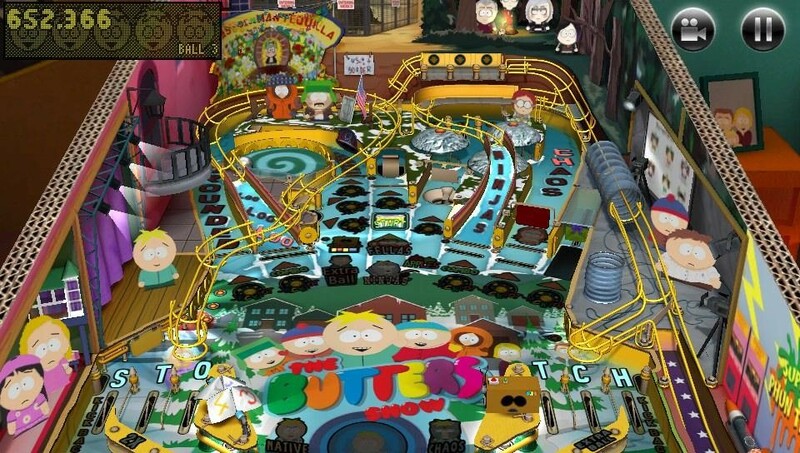 Another South Park pinball game had been released in 1999, though that didn’t reach the same level of quality. Another game made with the help of South Park Digital Studios, Tenorman’s Revenge is a 2D platformer set in the far future, in which the devious Scott Tenorman has taken over. The graphics are outstanding and the series’ humour is on display, but this is a fairly average platform game. It seems like almost every franchise has a racing game to its name. The New Batman Adventures, The Simpsons, Star Wars, James Bond, and many more have all been given the racer treatment. South Park was subjected to the same in 2000, with this poorly-received tie-in. 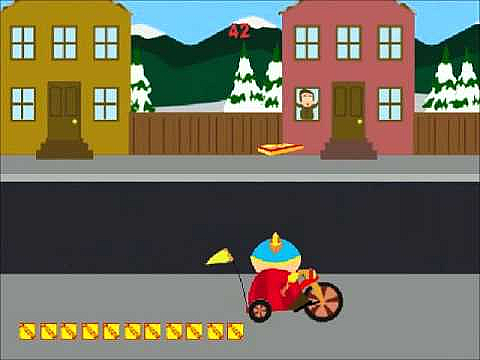 South Park Rally was another adaptation published by Activision, and it’s a fairly basic racer seasoned with touches of South Park. You can race as plenty of the show’s characters, though, including Stan, Kyle, Cartman, Kenny, Wendy, Chef, Uncle Jimbo, Officer Barbrady, Big Gay Al, Mr. Garrison, Death, Satan, and more. The graphics capture the look of the show, and the voice work’s pretty nice, but it just didn’t give fans the South Park experience they wanted. After all, it’s not as if the characters are known for tearing through the streets in quirky vehicles every week, is it? With South Park: The Fractured But Whole set for release soon, we look back at the best and worst South Park video games made so far. Which have you played? Let us know!